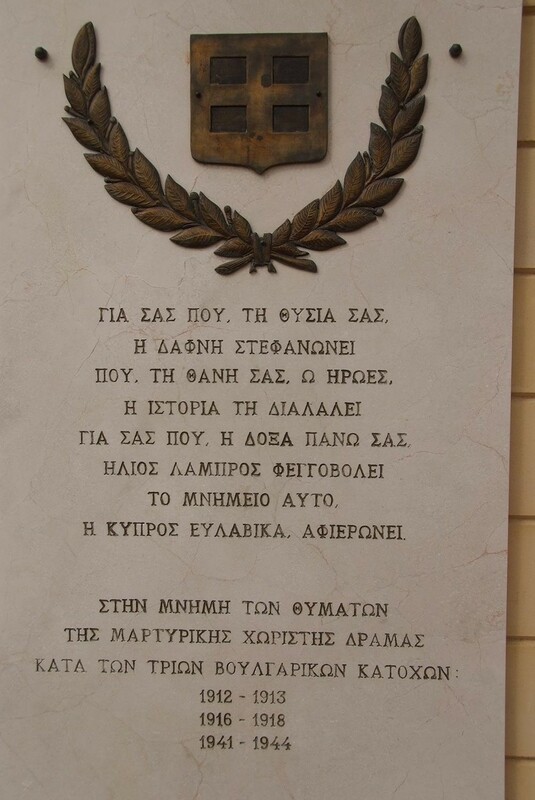 The Heroes’ Monument in Agia Varvara was erected in memory of the victims in the community of Choristi of Drama who fought against the Bulgarian occupation (1912-1913, 1916-1918, 1941-1944) and the heroes of our Community who fought or fell fighting for our country. 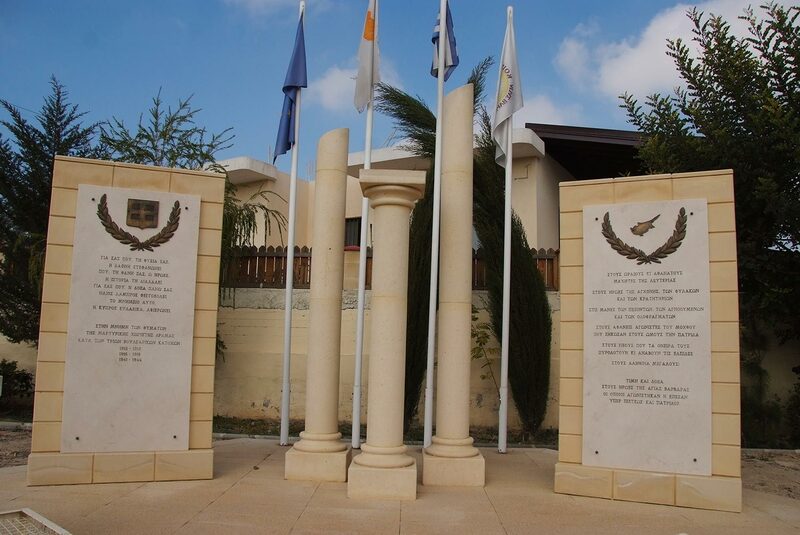 The Monument consists of two vertical marble plaques and three columns and it was constructed in 2010 by the Community Council of Agia Varvara. 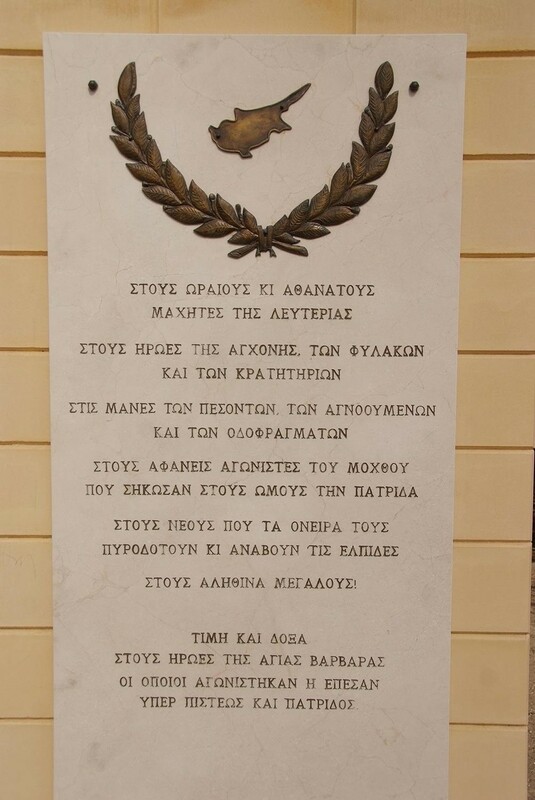 The Monument’s inauguration ceremony was held in September 2010 by the Minister of Health at the time, Mr. Christos Patsalides.